It’s a live HTML5 version for browsers and everything from the classic SNES game’s overworld is there. 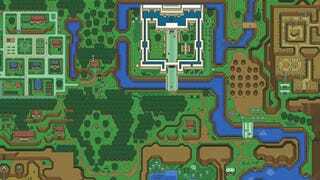 Here’s the whole map, made by the folks at “Jadsdsengine” (via r/nintendo). It might take a few seconds to load. But after that you can zoom in to see every animation, NPC and enemy closely or zoom out and know why this map felt so big when we were kids. It even looks a bit better on mobiles.